A Hello Kitty lunchbox washed up to the beach and a diary of a 16-year-old Japanese girl tucked inside set the scene for Ruth Ozeki’s latest novel, A Tale for the Time Being. 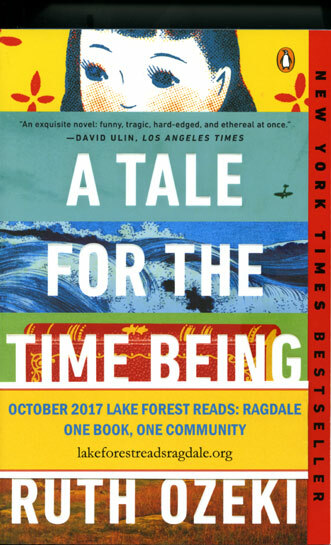 Join Lake Forest Library and the Lake Forest Reads: Ragdale program in delving into the book and save the date for Thursday, October 26 for a chance to meet the author in person. Since 2012, The Lake Forest Library in collaboration with Lake Forest College have been partnering with the Ragdale Foundation and Lake Forest College in a program that encourages the community to read one book by a writer affiliated with Ragdale. The purpose is to foster literacy, a culture of reading, and a sense of community. Ozeki will lead a conversation at 7 p.m. on October 26 at Lake Forest College and will also be the guest for a “Tea and Talk” event at Ragdale at 10 a.m. on Friday, October 27. The author will then lead a guided meditation at 6 p.m. later Friday evening, followed by a book signing at the Lake Forest Book Store. For more information about the program, visit lakeforstreadsragdale.org. Congratulations to the Lake Bluff Open Lands Association (LBOLA) on its latest achievement. A small, overgrown forest at the northwest corner of Green Bay Road and West Washington Avenue is being returned to its natural state in a project between LBOLA and Lake Bluff School District 65. “The previous owner wanted to sell it and have two houses built,” explains Bill Nordeen, a LBOLA board member. “The school district bought it and Lake Bluff Open Lands is restoring it. 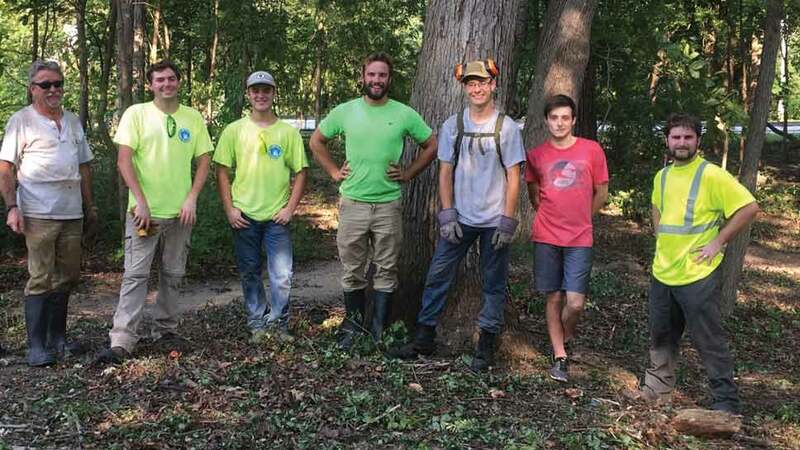 They asked us to start a restoration.” When the work is done in about three years, it will make a contiguous 2.5-acre natural forest, creating an outdoor classroom. Since LBOLA began in 1981, it has restored more than 225 acres of natural area in Lake Bluff. For more information about how you can get involved, visit lbola.org. 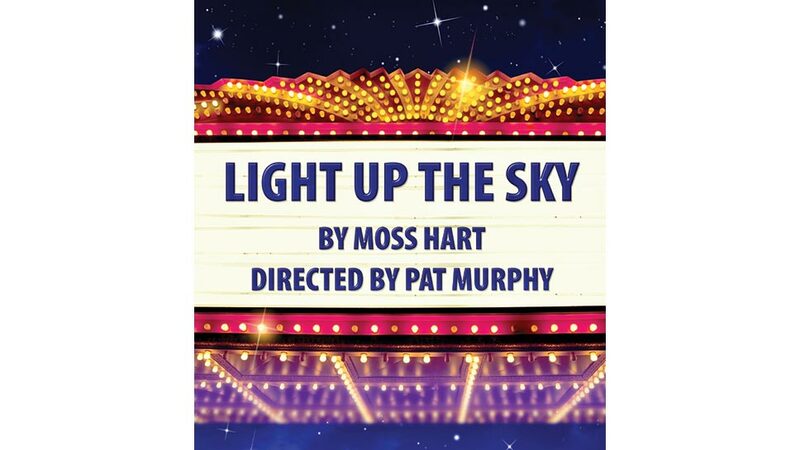 Lake Forest’s Citadel Theatre recently kicked off its 2017-18 season with Moss Hart’s 1948 comedy, Light Up The Sky. Set behind the scenes of a Broadway-bound play during its Boston tryout, the action takes place in the hotel suite of a temperamental leading lady before the play’s opening night. Directed by Citadel veteran Pat Murphy (better known for performances in Other People’s Money and Lend Me A Tenor at Citadel) Murphy is a retired teacher and director of theater at Glenbrook North High School. He directed Citadel’s production of A Christmas Carol in 2011. Citadel’s West Campus Theatre is located at 300 S. Waukegan Road in Lake Forest. Light Up The Sky continues through Sunday, October 29. For tickets and information, call 847-735-8554 or visit citadeltheatre.org.